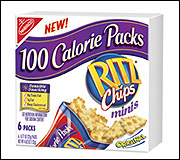 Top Secret: New 100 Calorie Packs on the Way! 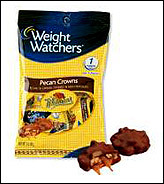 Just when you thought there were enough varieties of 100 Calorie Packs (ok, maybe not), along come TWO MORE. On April 3rd, the world will be introduced to Wheat Thins Chips Minis, and Ritz Chips Minis. We've actually had the chance to sample 'em (our pal Lindsey, who does PR for the line, slipped us a box of each...Shhhhh! ), and they ROCK. Since we have two full boxes of these cute 'n crunchy snacks, we've decided to be nice and share. Two lucky HG subscribers will have a chance to win single pouches of these minis. If you're interested in being one of the lucky humans who gets to try 'em before they launch in April, simply send us an email (before midnight tonight) telling us so. We'll choose winners at random. Good luck! Today, January 30th, is National Croissant Day. We say boycott this celebration and chew on a high fiber, low cal tortilla instead. Woohoo! Share this HG-rific news with everyone you know. Click "send to a friend" NOW!